Welcome to Manjaro.site. 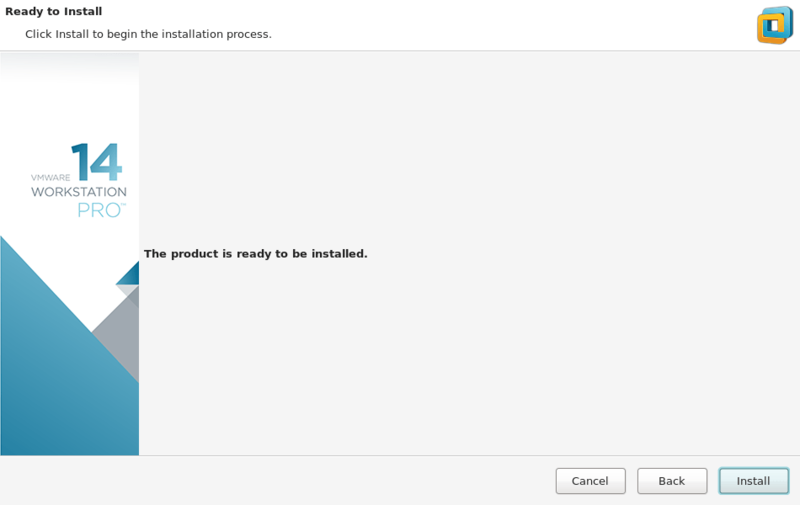 VMWare Workstation Pro 14.0 is now available for download. Its a well known virtualization software that allows us to run multiple operating systems on a single host. 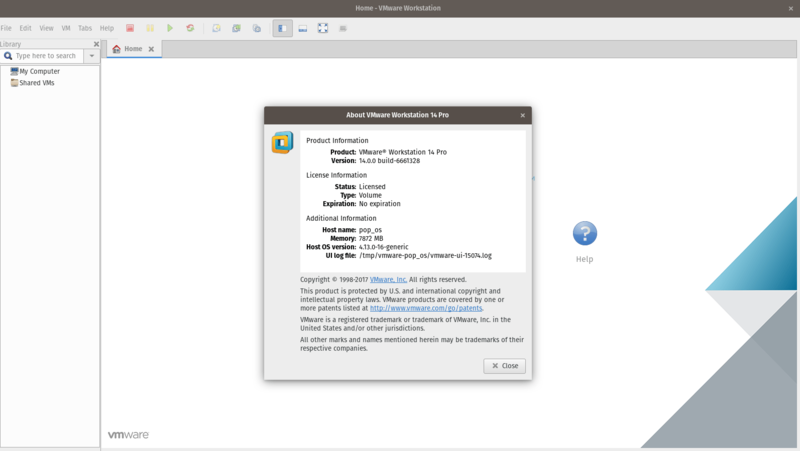 VMWare Workstation is available for Linux and Windows platform. This article will show you how to install VMWare Workstation 14.0 Pro on Ubuntu 17.10. There are many improvements have been made to this new release. As you might know, Oracle also release and maintain Virtualbox, the free and open source virtualization software. Its also available for Linux. You can easily install Virtualbox on Ubuntu as shown on this post. Many bug fixes and enable auto clean up VM disk space, new GTK+ 3 based UI for Linux. For more information about new features on Workstation 14, please visit this page. VMWare releases two different versions of their popular virtualization software: VMWare Player and VMWare Workstation Pro. Both are available for Linux. But what are the main differences between those two products? The main difference is the price. VMWare Player is free but the Workstation is a paid software. But, if you need a massive deployments of Virtual Machines and need more features, I would suggest you to purchase the Workstation Pro edition. We created a short tutorial on how to install VMWare Player on Ubuntu. See if you need that one. Change /tmp to the directory where you save the file. The Graphical installation wizard will open up. First, you will need to accept the license agreements. Check the product update on startup. 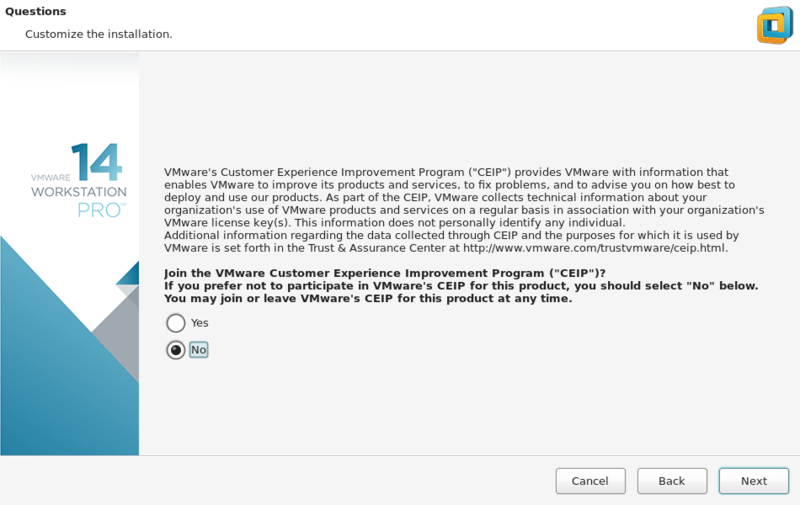 You can enable this feature if you want to check for update everytime VMWare Workstation is running. Join customer experience improvement program. You can choose no if you don’t want to contribute. Next, you will need to enter the user that will initially connect to Workstation Server. It usually detects the current user. Choose the directory for the shared virtual machines. Leave it as is if you don’t want to change its location. Paste your license key. 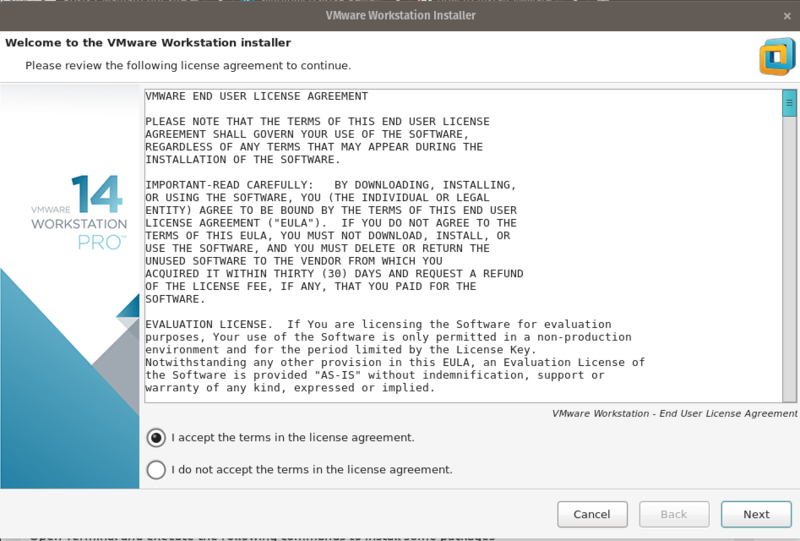 If you have the VMWare Workstation 14.0 Pro full version license key you can enter it here. But if you want the free trial version, leave it blank and click Next. Now the installation will start. It took some times so be patient. Now the installation is finished. You can now open Workstation 14.0 on your Ubuntu 17.10. It was a great experience to install VMWare Workstation 14.0 Pro on Ubuntu 17.10. Well, Workstation 14.0 is not cheap for personal users. But if you are focus on virtualization works such as consulting services or providers, its a great solution. Thanks for reading this tutorial, please share this article so everyone can get benefit from it. Leave us comments if you have any questions. This tutorial has been tested on our Ubuntu 17.10 Artful Aardvark system.